In the beautiful Lee County of Southwestern Florida, you will find a charming community known as Buckingham. Buckingham is a census-designated place in the prestigious Cape Coral-Fort Myers Metropolitan Area. Home to approximately 4,280 residents, Buckingham is composed of 19 square miles, all of which are land. Among its many points of interest you will find the Historic Buckingham School and the beautiful Buckingham Community Park. Located at 9800 Buckingham Road, the Park has a Fort Myers address and is found in the 33905 zip code. Among its many great features the park boasts a large playground, two picnic areas, three football fields and four baseball fields for Buckingham residents to enjoy. Another wonderful amenity enjoyed by Buckingham residents is the Barkingham Dog Park. The dog park boasts primitive trails as well as on-lead and off-lead areas for its furry residents to enjoy. Parks are not the only great features of this charming small community, Buckingham residents also enjoy easy access to all the exciting shopping, dining, entertainment and recreation opportunities of the metro area, while simultaneously enjoying a quiet, relaxed lifestyle. Whether you are a young professional, couple, family or retiree, you will enjoy calling Buckingham home. Buckingham residents have an average commute time around 27 minutes, which is only two minutes more than the national average, and they have an exceptional quality of life. Those looking to buy a home in Buckingham will be pleased to discover diverse real estate options with a median home price around $250,000. Most homes in Buckingham are single family homes of varying ages, sizes and architectural styles. The average listing price for a home in Buckingham is around $166,000, and most homes have three or more bedrooms, two or more bathrooms and at least 1,500 square feet of living space, though there are sometimes exceptions. Most, but not all, Buckingham homes sit on 0.25 acre lots and are found in peaceful, family friendly neighborhoods. 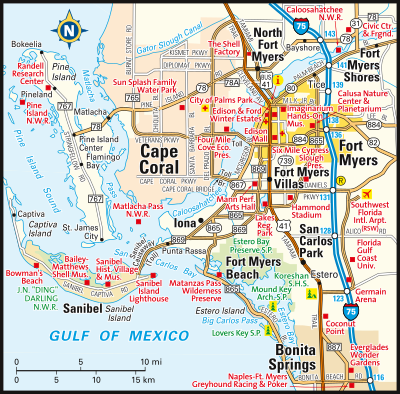 If you would like more information regarding homes for sale in Buckingham, Florida, in the Cape Coral-Fort Myers area, please do not hesitate to contact us today. Over 110 feet available on the Orange River. This estate sized lot is ready for your custom dream home.